Information: Erik Bendix, teacher of international folk dance. Erik, who grew up in the bay area of San Francisco, began folk dancing at the age of ten. A long-time student of the late Pece Atanasovski, he performed Macedonian dance with Mile Kolarov's Vardar Ensemble in the 1970s and Romanian dance with the Banat community in Philadelphia. More recently he studied Northern Bulgarian dance with Ivan Donkov in Veliko Turnovo, Bulgarian, and also performed Appalachian clogging with the Green Grass Cloggers in North Carolina. He has taught folk dance in Europe and the United States since 1972. Although he specalizes in dances of Europe, especially from the Balkans, Near East, and the Klezmer culture, his dance research extends as far east as Mongolia and Thailand. He has taught in London, Paris, New York, Geneva, and many other locations, and is known for his user-friendly teaching and his attention to style. For more than tweny years he has been a major teacher of international folk dance in Switzerland and the Since 1991, he has befriended the Klezmer ensemble Brave Old World, co-taught with them, and begun teaching their repertoire of traditional Yiddish dance to wider audiences. Erik has studied and taught Albanian, Armenian, Bulgarian, Croatian, Greek, Hungarian, Macedonian, Polish, Romanian, Russian, Serbian, Turkish, Ukrainian, and Yiddish folk dances, as well as traditional Mevlevi dervish whirling dances and Appalachian clogging. Among his major teachers were Michael Alpert, Pece Atanasovski, Ivan Donkov, Mile Kolarev, Marcia Rand, and Zuleikha. He has performed as a member of the Green Grass Cloggers in North Carolina and in 1996, he choreographed a suite for the West Wind International Folk Ensemble in San Francisco. Erik helped to start the Vlaams Theater Instituut winter folkdance weeks in Switzerland in 1980, co-founded the Mountain Playhop summer folkdance weekend in Asheville, North Carolina in 1984, and has been a regular teacher at both venues ever since. Erik has taught about forty weekend dance workshops, including one at June Camp in Wisconsin and Autumn Leaves in Nashville, Tennessee, as well as fifteen week-long workshops. He has practiced Tai Chi Chuan, and directs The Art of Alpine Skiing<, a ski teaching method that he invented. 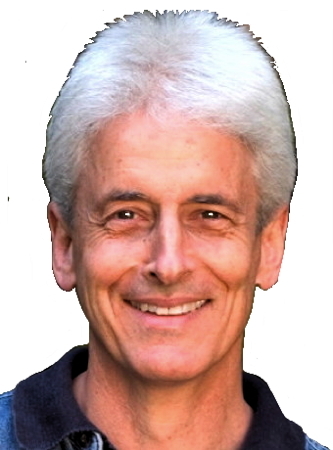 His workaday profession is as a movement educator  he is an AmSAT-certified teacher of the Alexander Technique and a certified practitioner of Body-Mind Centering. Trained as an academic philosopher at Oxford and Princeton, Erik is known as a teacher of world dance traditions, and lives with his wife Meredith in Asheville, North Carolina. His interests in dance also extend to Chinese martial arts and Mevlevi dervish whirling. Moreover, he has played a pivotal role in reintroducing folk dancers in western Europe to using live music, and is well-known for being active in the revival of nearly lost traditions of Klezmer (Yiddish) dance. He is also a published poet, skier, and a certified practitioner of the Alexander Technique that aims to improve one's flexibility, poise, and general ease.